- Any order over $50 placed on 1/18/19 is eligible for a free RCJuice T-shirt. - Limited to supplies on hand and valid only while supplies last, no substitutions are available and offer has no cash value. Offer is not retroactive and MUST be requested at checkout as instructed below, offer cannot be applied afterward. - $50 total applies to merchandise only, taxes and shipping charges do not count towards $50 minimum. - Free shirt offer is not automatic, you MUST include your requested size in the comments section at checkout. 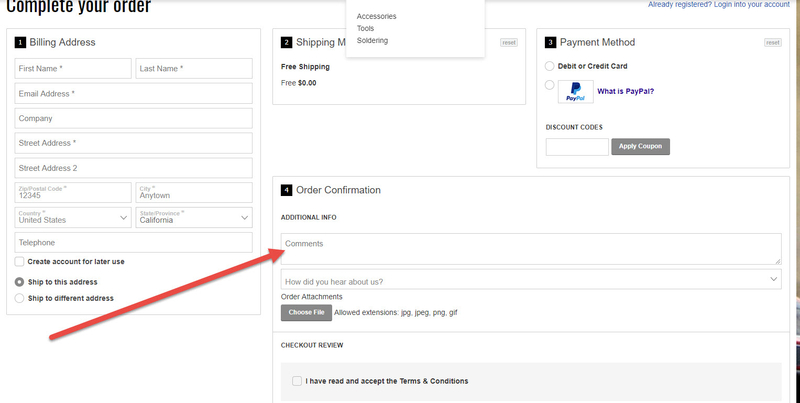 After you click "Proceed to checkout" you will see a "Comments" section. Please note what size shirt you are requesting first (S-XXXL are available while supplies last), and a second size option in case your selected size is out of stock..